How long does the Halloween candy last in your house? If you have kids, then they could be coming home with pounds of the sweet treats. If you bought candy for trick or treaters, then you probably bought more than you need. After all, no candy results in a “trick” and nobody wants that to happen! Unlike the day after Christmas, having Halloween decorations up past Halloween doesn’t feel right. This is why you’ll want to get them packed up and put back into storage as quickly as possible. They might be going right next to the other holiday decorations but what about everything else you have in your storage area? Is it useful or rubbish? 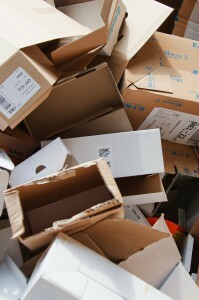 If it falls into the rubbish category, then you want to hire Junk King to help get rid of it all. They can make it happen in a single session and that’s no trick at all! The Junk King way of doing business involves their two-man crew doing everything while you just watch. The reason you’re hiring them is to get rid of all the things you can’t toss out in the trash. Often this includes the heavy stuff like sofas, mattresses and kitchen appliances. You will never have to put your back at risk as long as Junk King is on the job. How fast do you want your rubbish picked up? Junk King helps most of their customers with a next-day turnaround. In some cases, they can even provide a same day pickup. It all comes down to where the crew is and what kind of room they have left on the truck when you call them. If you’re concerned about tossing out things that can still be used, then Junk King has you covered. Anything that is worth of a donation to a charity, can be dropped off by Junk King. You don’t have to tell them what should go. The crews are all trained on sorting. Hiring Junk King Denver to get rid of all your unwanted clutter and rubbish is going to be a real treat and there is nothing tricky about that. Put the plan into action today! This entry was posted in Denver Junk Removal and tagged Junk King, junk removal junk on October 31, 2018 by Junk King. Last updated October 31, 2018 .